IPS provides repair services, field services and distribution for over 4,000 customers working in continuous process, asset intensive industries — power generation (wind, hydro, nuclear and fossil), oil and gas, paper, metals, steel and mining. We handle 100% of your electric motor management needs, from small through large to extra-large (up to 15 kV). Dynamic balance stand up to 100,000 lbs. We offer in-house CNC parts manufacturing as part of our single-source capabilities (IPS retains control of QA and delivery, while giving you the best prices as part of our repair process). We can handle simple to complicated parts, short or long production runs and short lead times. 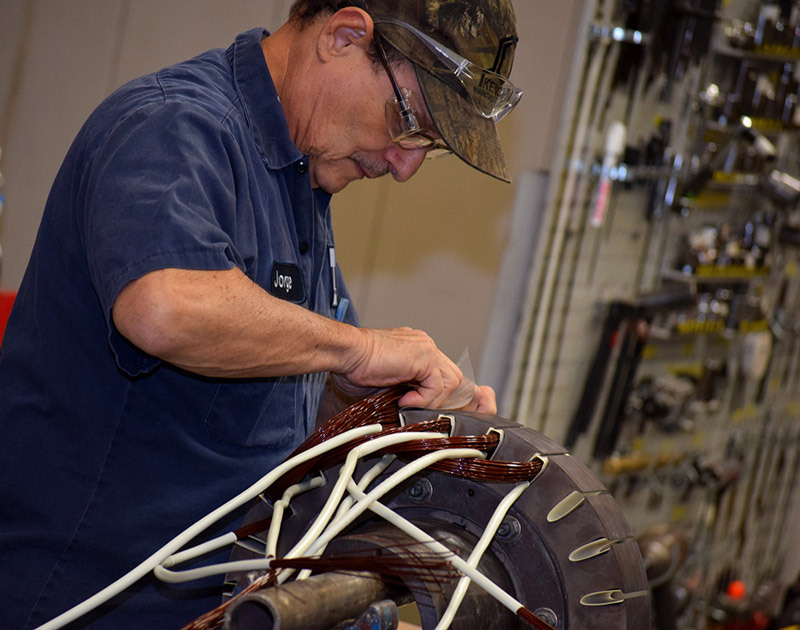 The quick turn times you need to replace your repairable failed Dodge TXT units, plus one advantage no other service provider can match — IPS-trained technicians remanufacture your torque arm reducer, using Dodge drawings, specifications, procedures and genuine Dodge parts.